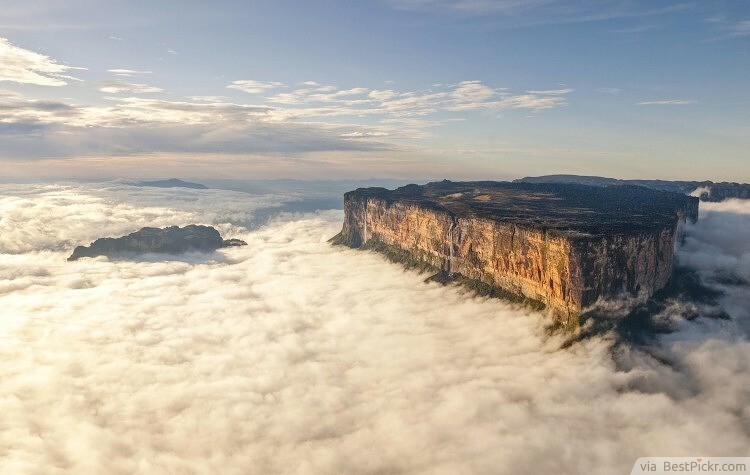 Our planet Earth is an astonishing place. Natural forces have really had a terrifying impact on our world. If you like to travel, there are simply amazing spots in this world that you must visit, unlike these creepy destinations. 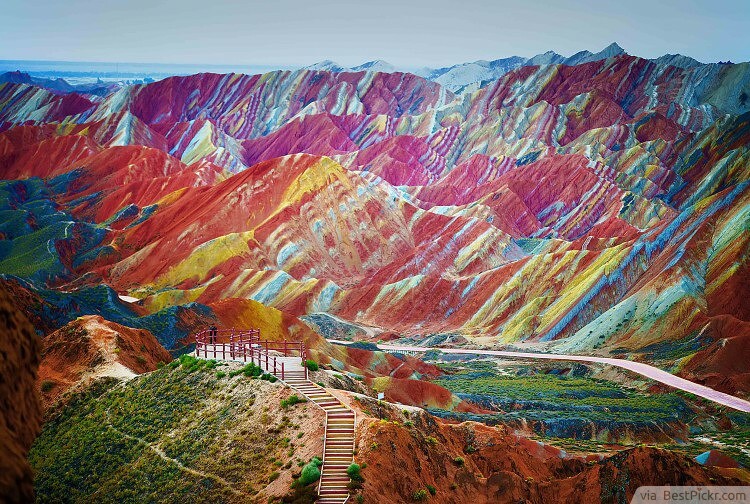 Here are the most beautiful places around the world that you won't believe are real but actually exist, and you have to see them. 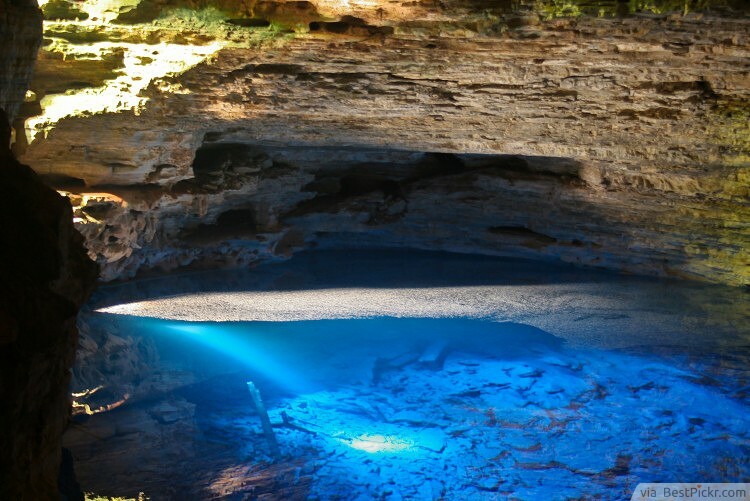 The Poco Encantado or The Enchanted Well is located at the Chapada Diamantina national park. The well is 120 feet deep. The water is so transparent that it is clear enough to see all the ancient rocks and tree trunks which decorate its bottom. When there’s sun, light passes a narrow opening and forms a stunning blue reflection upon the water, transforming this tranquil cave into an amazing magical place that you can only find in fantasy worlds, like that of Avatar. 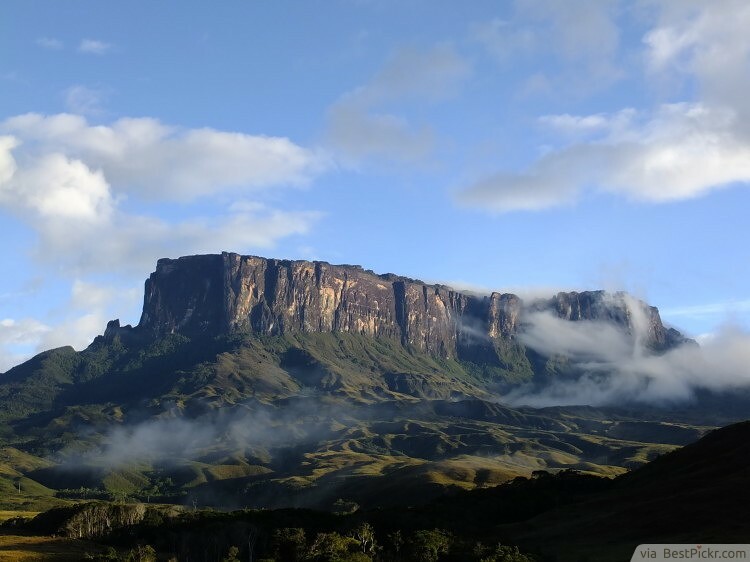 Since the water is very pure, access to it is extremely limited, making this secretly hidden beautiful place in Brazil even more inaccessible for tourists. The rare ecosystem is very important and the environmental protection of this giant pool is quite delicate. This is the oldest fresh water lake in the world and it becomes entirely frozen during the winter. When this occurs, the water becomes so crystal clear that it’s visible 130 feet beneath the ice. During March, the sun and frost create ice cracks. 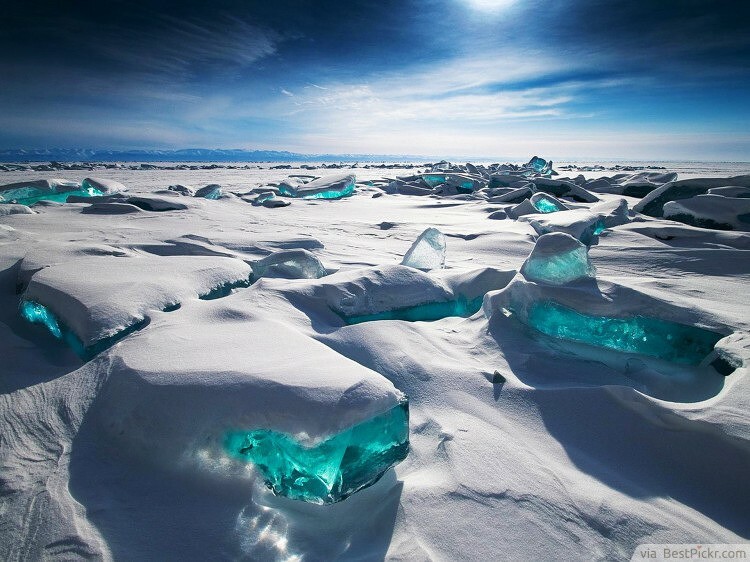 This means that you can actually go around and find turquoise shard of ice which rest upon the surface of the still frozen lake, making it one of the most beautiful places in Russia. 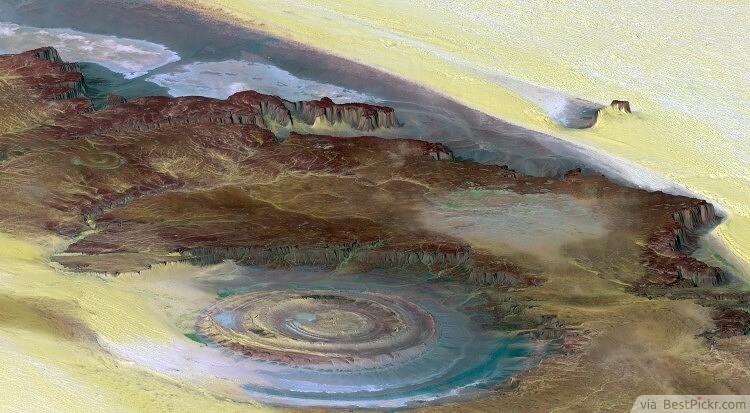 This most beautiful place in Africa is also known as The Eye of Africa. This giant, highly erodent and symmetric ball continues to fascinate some scientists. 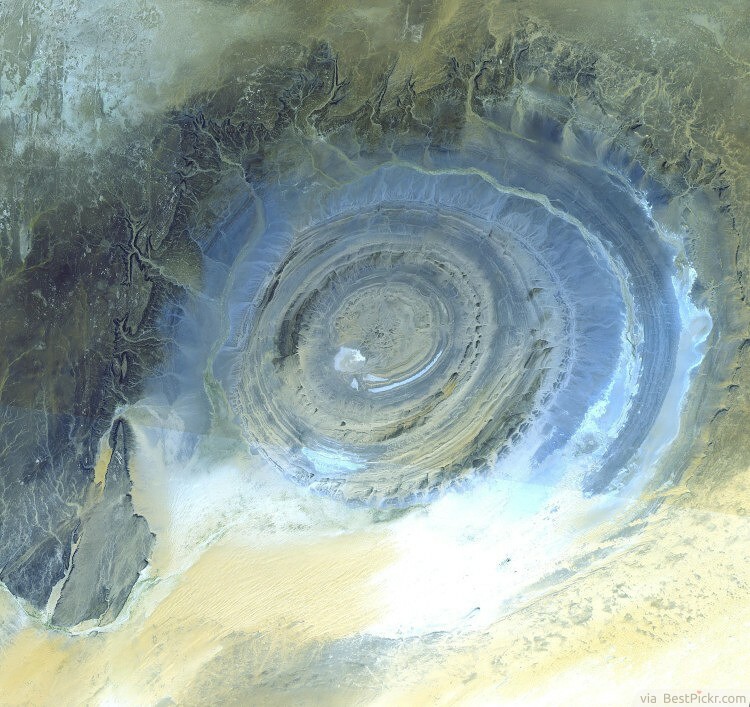 The crater was initially discovered by astronauts taking photos of the desert from outer space. The main theory behind this wonderful geological formation is that this was the site of a meteorite impact. 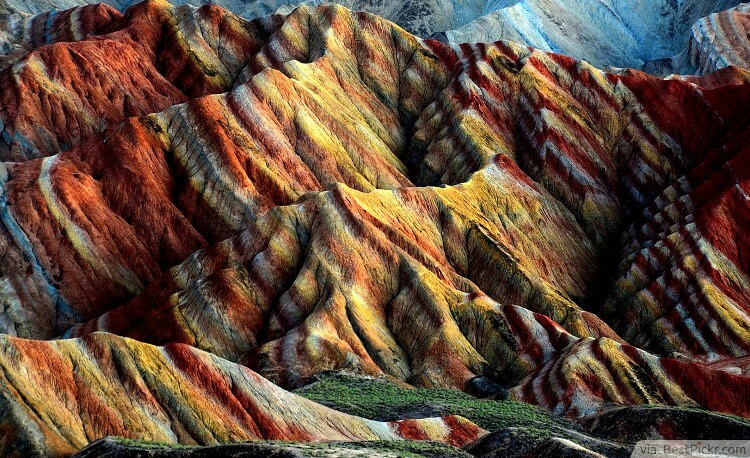 Others think that it was formed by volcanic activity. The following fact should help you understand why it wasn’t noticed until looked at from outer space. The size of the crater is over 30 miles in diameter. Almost nobody is able to explain what makes the rings equidistant to the center. These hills are one of the rarest geological forms on our planet and the most beautiful place in the Philippines. 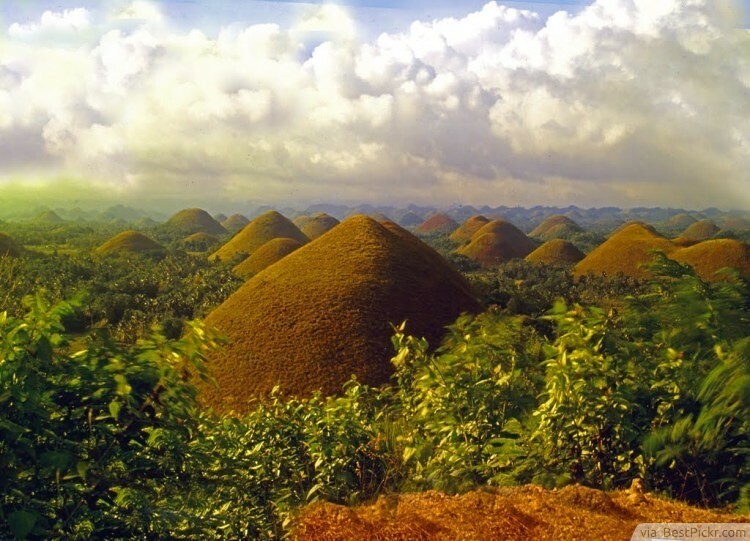 They cover a surface of over 30 square miles on Bohol, the tenth largest island in the Philippines. Most of the time, the hills are green. However, during the dry season or extended periods of drought, they turn into a chocolate shade of brown. There are roughly a thousand hills with heights varying between 100 and 400 feet. They formed around 2.5 billion years ago. There are several theories regarding these hills. One of the theories is that they formed because of tectonic activity that moved and elevated the limestone deposits on the seabed. The mysterious thing about them is that they are very regular in shape, with a perfect symmetry that no one can explain. This is not an enormous supply of strawberry milkshake or a huge piece of bubble gum. 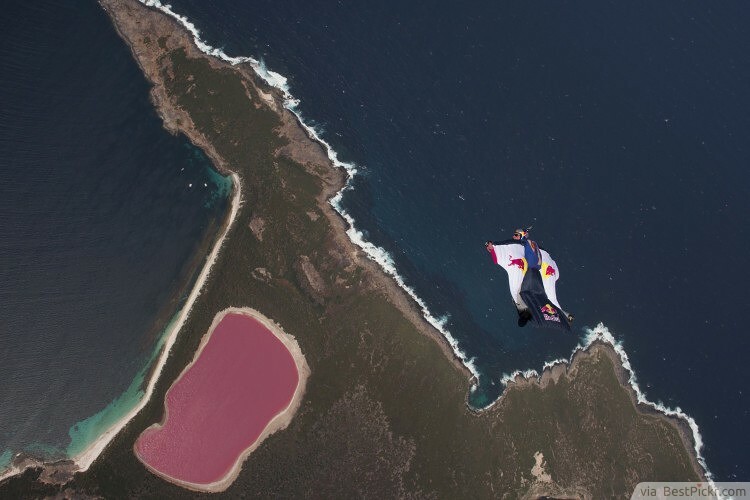 This is Lake Hillier. It’s about two thousand feet long and it is separated from the ocean by a narrow strip of land. The lake is surrounded by white sands and beautiful woodlands that contrast with the strangely colored water. The pink water doesn't alter when taken into a container. The source of its color has yet to be discovered. It remains a mystery. There is only one theory which attributes the color of the water to red hydrophilic bacteria in the salt crusts. 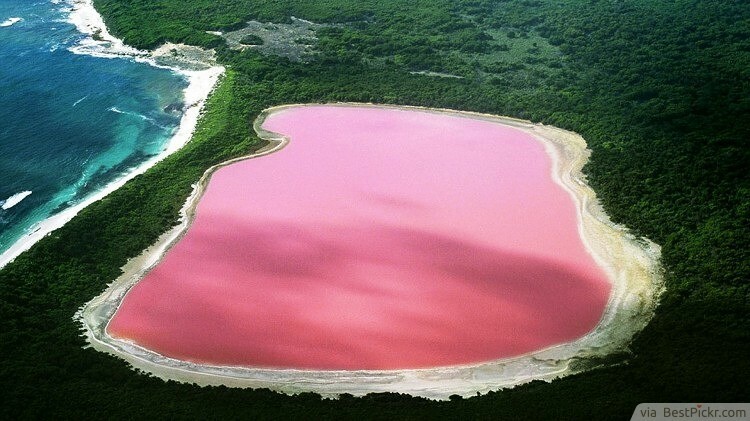 Besides the unusual hue, the water has no known harmful effects on humans, making it the most awesome place in Australia. These are not altered images. This is not a photo which was taken on another planet. 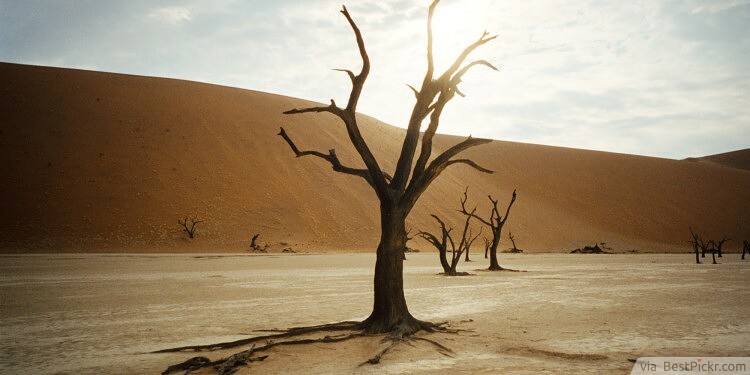 Deadvlei is home to charcoal back trees, which stand in front of the planet’s highest sand dune. This used to be a very rich and blossoming forest. 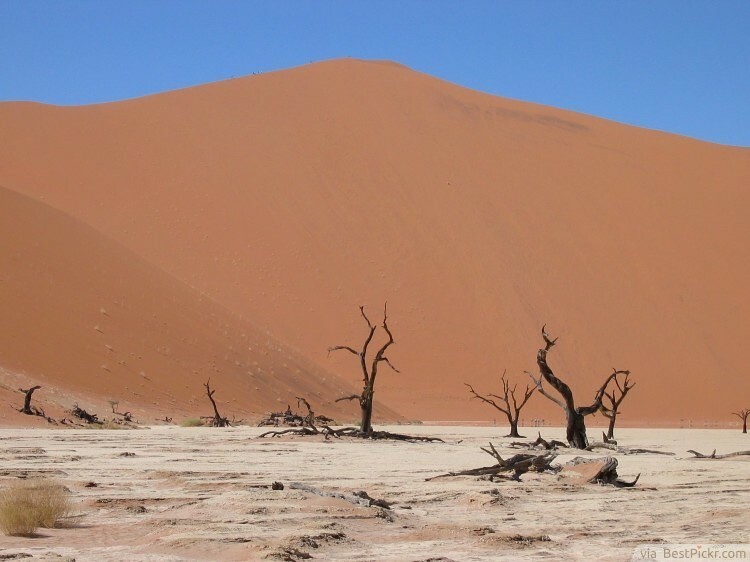 The surrounding desert killed all life, leaving behind impressive tree skeletons. A very long time ago, there used to be a river which passed through this dead valley. The river eventually dried up, leaving a very lifeless, yet fascinating landscape behind, that look like the world most alienated destination to visit. This interesting place is almost a thousand feet beneath the Naica silver mine. 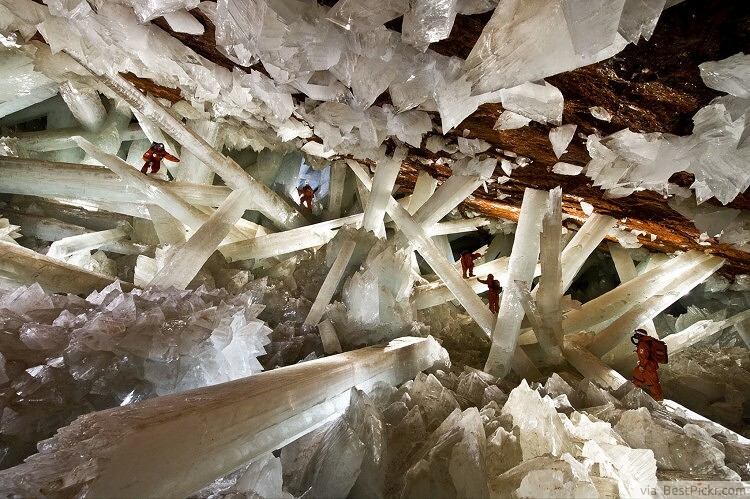 The chamber dubbed The Cave of Crystals is home to 36 pillars of solid crystal. 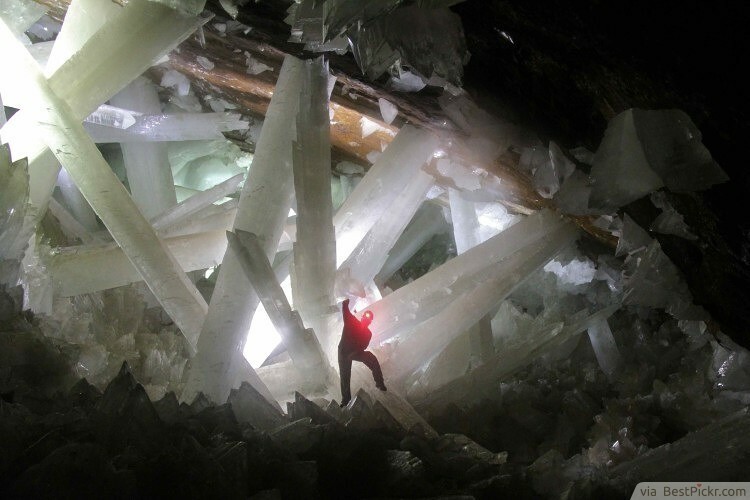 It is also home to the largest known gypsums. They are soft minerals made out of hydrated calcium sulfate. 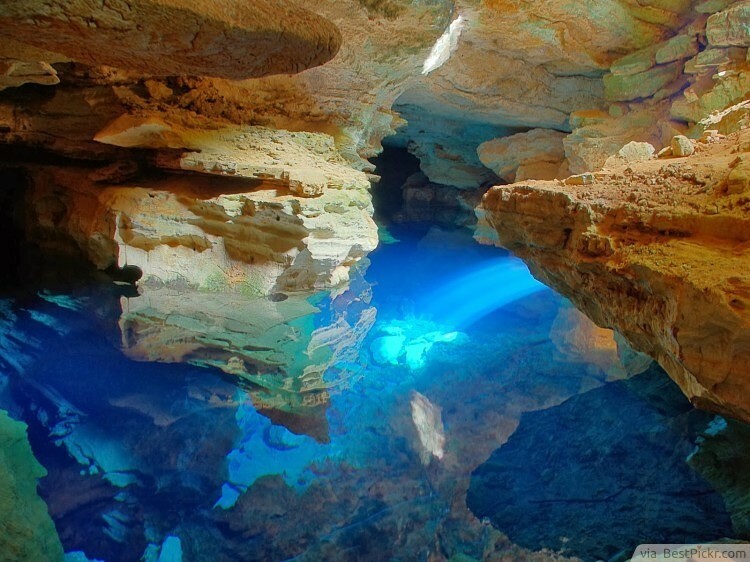 The chamber was undiscovered for about half a million years. This was probably for the best, since the nearby magma deposits heat up the cavern to temperatures above 112 degrees Fahrenheit. The caverns were discovered in the year 2000, following mining operations. Visitors risk heat strokes just to see the beauty of this place in person. 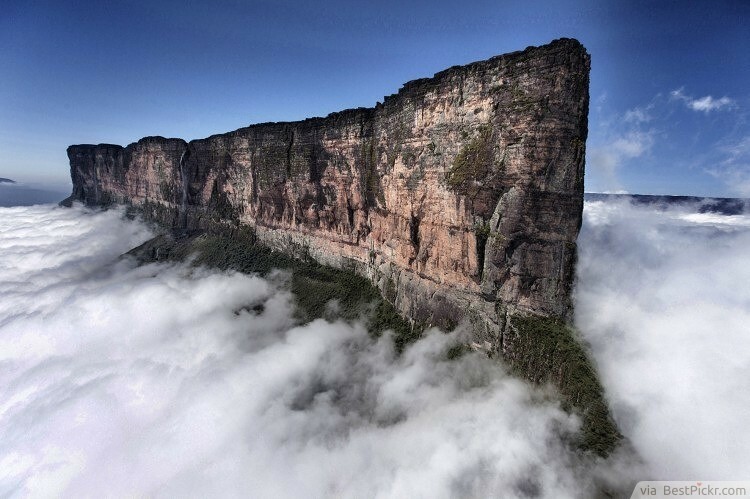 These thin and tall mountains look so alien that they even appeared in James Cameron’s movie “Avatar”. They formed underwater 380 million years ago. The water ate the soft sandstone, leaving only stone pillars behind. Some of them have reached over 4000 feet above sea level. Around 3000 of these pillar giants are spread around only 16.5 thousand acres of land. 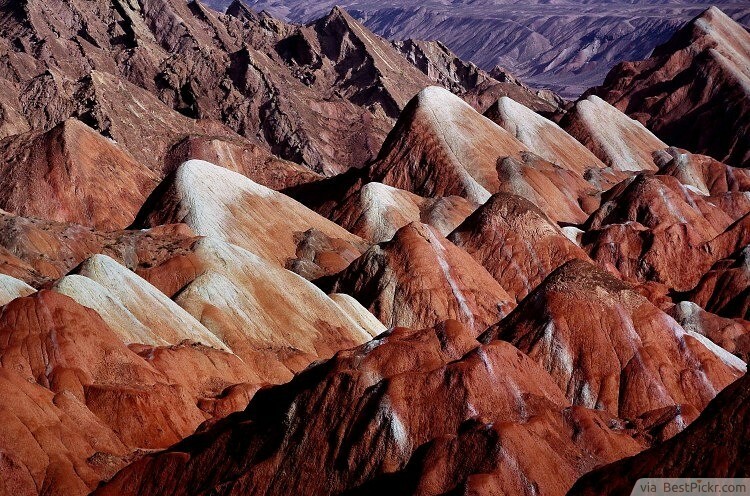 It's among the most spectacular places in China, but also very alien and eerie.